A determined teenager door-knocked his way to a top job in the City by googling “richest area in London” and then asking residents how they did it. Reggie Nelson dreamed of a university education, top job and the wealth to go with it – but had no idea how to achieve it. 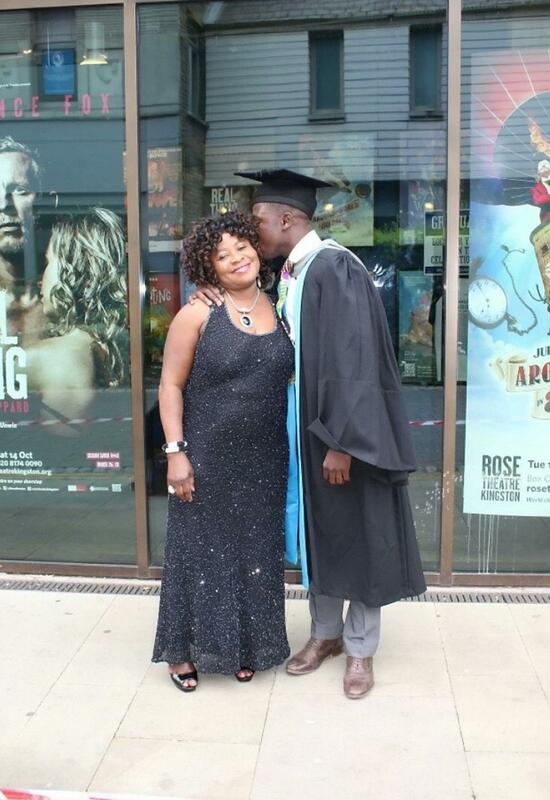 He was born and raised on a council estate – by a single mum after his father died – had been excluded from school and was already having run-ins with the law. But after watching an episode of How’d You Get So Rich – a US TV show where the late Joan Rivers meets a selection of wealthy Americans – he came up with a brazen plan. He googled “richest area in London” and found Gloucester Road in Kensington and Chelsea – so went there armed with a smile and a pre-prepared speech. Impressed residents bestowed advice on the then 18-year-old about work experience and working hard at college. After hours of knocking, he was invited in for a cuppa by Elizabeth Price, the wife of Quintin Price, a senior executive at investment management firm BlackRock. The impressed head of alpha strategies invited him to the office for the day – eventually getting him work experience, a mentor and ultimately a place at university. Four internships and a degree later, he now has his dream job in investment management in the heart of the City – a far cry from the teenager’s previous life. Mr Nelson, now 22, said: “I was still in college at the time thinking, ‘How can I do something different? What can I do different enough for me to see results, that no one else will think of doing? “I had the idea for a few weeks but it took me a while to muscle up the courage to get out and do it. “When I got off the Tube at Gloucester Road I just saw all these expensive cars – Aston Martins and Mercedes lining the streets. “Everywhere you looked just looked like money. Born and raised on a council estate in North Woolwich, East London, Mr Nelson said his dad was not around to give him advice or act as a role model. He was excluded from school aged 14, had brushes with the law and knew he was in danger of going down the wrong path. That night at home Mr Nelson saw the programme that inspired him to head to Gloucester Road. Dressed in jeans, black Nike trainers, a claret jumper and a jacket, Mr Nelson spent an entire day knocking on the front doors of some of the UK’s richest individuals. Hours after repeating the same phrase Mr Nelson finally got a break when Elizabeth Price invited him into her house. Sitting down for a cup of tea, Mr Nelson was introduced to her husband Quintin who invited him to the Undergraduate Insight day at the company in central London. “I got there ridiculously early – like an hour early – as I wanted to make a good impression,” he said. He added: “The insight day was funny – a lot of people were confused as to why I was there because I was still in college at the time. Mr Nelson emailed Mr Price asking for work experience and was provided with a week-long internship in the London office working with the fundamental equities team.